Facebook acquired Instagram about seven years ago. Since then, this leading social -platform has grown significantly reaching unexpected heights. As of the moment, Instagram has more than a billion subscribers, and has been growing steadily at an amazing pace. About 100 million subscribers have been registering with Instagram every year since 2012. Users haven’t been left behind too, as most work hard to grow their following and by extension their influence on this platform. Some have resulted in third-party assistance to help grow their accounts. For instance, Magic Social can grow your Instagram substantially without you having to put in as much effort as you would alone. There are more incredible heights that Instagram has reached. Here are seven of those incredible Instagram statistics. When Facebook bought Instagram network for a whopping $1 billion in 2012, it only had about 30 million users. The network grew rapidly and hit 130 million users just a year later in 2013. Since then, it grew at an amazingly fast rate hitting 800 million monthly users and with more than a billion subscribers. Instagram’s engagement rate has grown rapidly as more and more people join the network and participate in its activities. Looking at statistics in the US, about 60% of all internet users will visit Facebook at least once in a month and about 38% will do the same on Instagram. This is an indication that the platform is quickly growing in popularity and presents a golden opportunity for marketers. About 90% of Instagram users fall below the age of 35 and 35% of adults on the internet are also on Instagram. About 60% of the users are between the 18 and 24 years old, with the largest demographic among these users being males between the same age group. This shows that the app is more popular with the younger generation. This also explains where Cristiano Ronaldo, a Portuguese soccer player currently plying his trade with French first division club Paris Saint Germaine (PSG) has the highest number of followers at about 160 million. About 88% of all Instagram users are outside the US. The three leading countries of Instagram users are the US with 121 million, India with 71 million and then Brazil with about 64 million. There are a whole and open market around the world. Marketers can tap into the now almost $8 billion markets all over the world. Brands in and outside the US should also tap into this massive market for massive gains. More than 40 billion photos have so far been shared on this platform. The photos posted on this platform attract more than 3.5 billion likes on a daily basis showing you the level of engagement. There are now more than 100 million posts, images, and videos every day on this platform. You really have to work smart to have your posts stand out if you want to garner a loyal following. You’d be surprised to know, though, that a picture of an egg is the most popular currently on Instagram with more than 40 million likes. Instagram users spend an average of about 53 minutes per day. This time is especially important for marketers who would even like for it to increase. 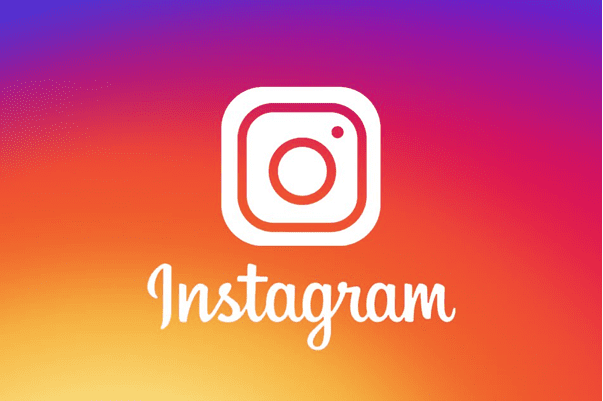 The more time users spend on Instagram, the more they are likely to view ads and the more they are likely to connect with some of these ads. The particular time of day that most users spend on Instagram is also vital to identify when to post content. Posting content when most users are online increases the chances of your post being viewed by the most users possible. Approximately 71% of businesses in the US claim that they have an Instagram presence. Furthermore, 7 out of every 10 tags are apparently branded, showing that many users are using this platform for business. With 83% of users saying that they discovered a new product via their Instagram accounts, this is a platform that businesses cannot afford to ignore. There is a very strong connection between Instagram and YouTube. About 95% of individuals who use Instagram in the US also use YouTube. This present a sterling opportunity for YouTubers to market their content. You can share your YouTube link on your Instagram account and ask your followers to check it out. It is a good way of getting more views, likes and subscribers on YouTube. With more than a billion subscribers, 70% is a significant number looking out for brands on the platform. You can be sure that a handful of users will check out your brand even if you are new in the market. This calls for you to take decisive action and have your brand on Instagram. Ensure that you set up a business profile to get the most out of this market.